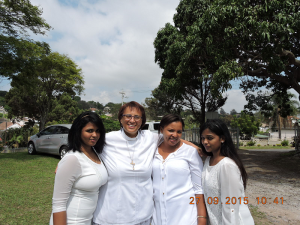 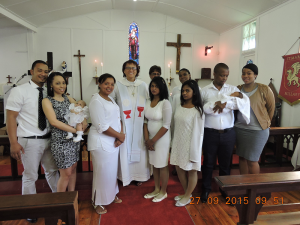 Baptism Service on 27 September 2015 : All Saints, Bellair. 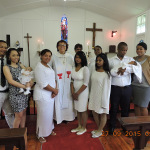 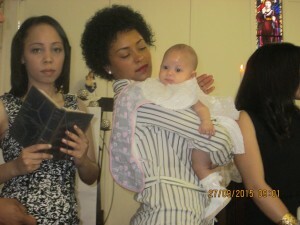 During the Spring baptism held on 27 September 2015 at St Mark, Hillary, three adults and two babies were baptised by Revd Canon Dr Delysia Timm. We welcome Nola, Sharron, Grace, Keziah and Mndeni as full members of the body of Christ in the Parish of Bellair. 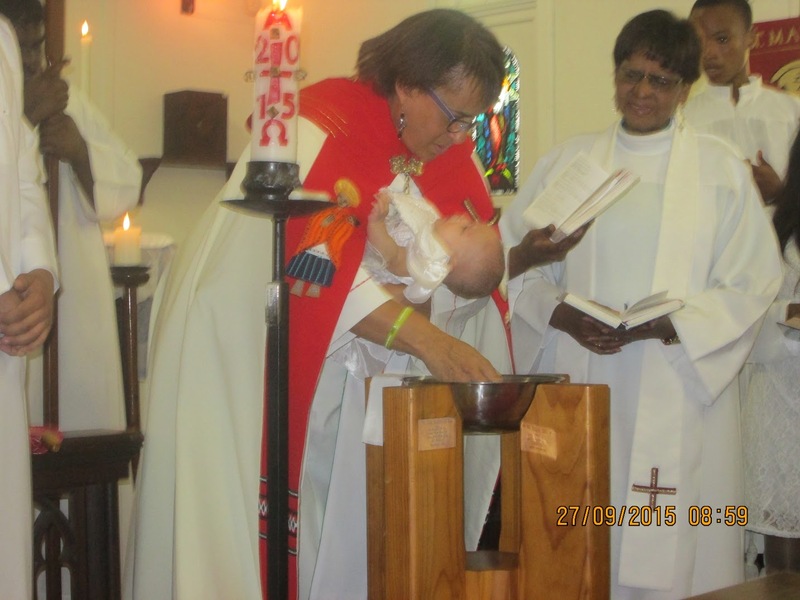 The Adult candidates and parents of the babies were prepared for baptism by Revd Beryl Florens. please continue to pray for these new members and their families.